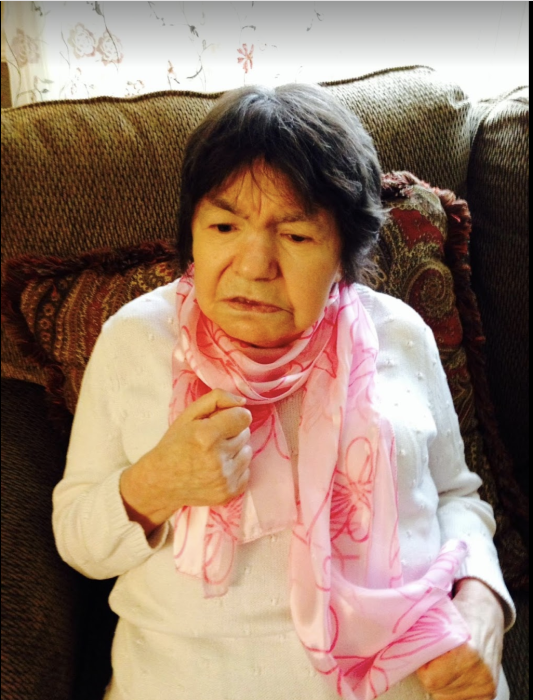 Carol A. Whitney a longtime resident of Monson, Massachusetts passed away at home with her extended family by her side. She was 80 years old. Born June 15, 1938 in Boston, Massachusetts she was a beloved daughter of the late George P. Whitney and Frances L. (Giglio) Whitney. She is survived by her loving brothers and sisters, George F. Whitney of Holbrook, Paul J. Whitney of Easton, Janet F. Victoria of Easton, Linda F. Whitney of South Boston, Helena A. Whitney of Easton, Joseph F. Whitney of Northport, Fla. and many nieces, nephews, cousins and friends. She was also a sister to the late Mary Jane Walls, Thomas F. Whitney and Maria Whitney. Carols hobbies included attending family parties and concerts, going to movies, shopping, and enjoying a good meal away from home. She will be missed by all who had the pleasure of knowing her. The family would also like to extend a big thank you to the staff and personal caregivers at the community home in Monson. Visiting hours will be held on Friday January 25, 2019 from 9 A.M. - 11 A.M. in the Sheehan, Lowe & Powers Funeral Home and Cremation Services, 115 Monk Street, Stoughton. A Funeral Mass of Christian Burial will follow at 11:30 A.M. at the Immaculate Conception Church, 122 Canton Street, Stoughton, MA. Services will conclude at Mt. Benedict Cemetery, West Roxybury, MA. Donations can be made to the National Multiple Sclerosis Society, 101 1st Avenue, Waltham, MA 02451 in Carols memory. To send online condolences, please visit: www.sheehanfhuneralhome.com.